This is an image from an ancient plate showing a warp-weighted loom with a patterned weave. 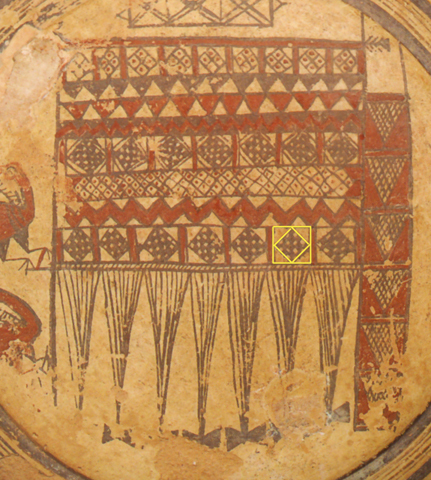 Note the square-in-a-square motif that will be at the centre of the following presentation. To navigate to the next page please klick on the white Go-pebble to the right.